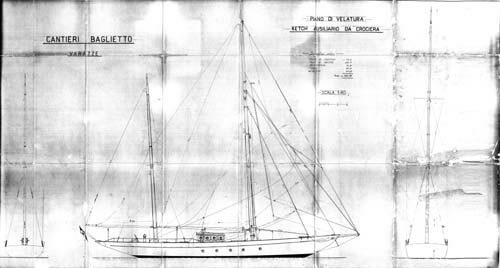 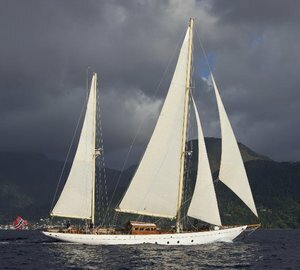 Sailing yacht SINCERITY is a 95ft (29.0m) charter yacht built in 1928, designed by the renowned Baglietto yard of Variazza, Italy. 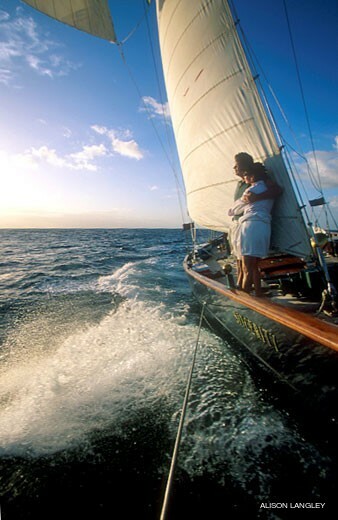 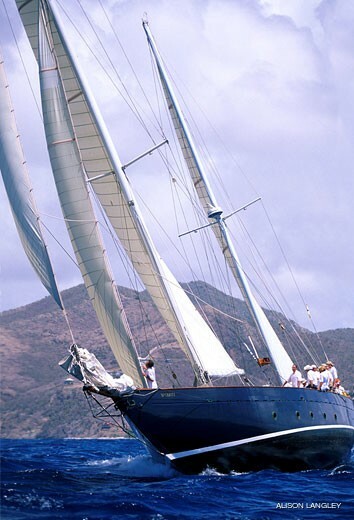 The SINCERITY sailing yacht is a fast and comfortable cruising yacht which is apparent in her sleek yet classic lines. 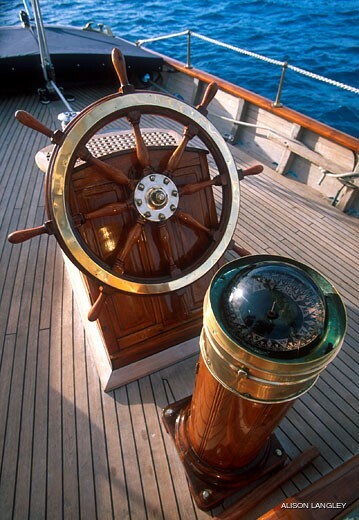 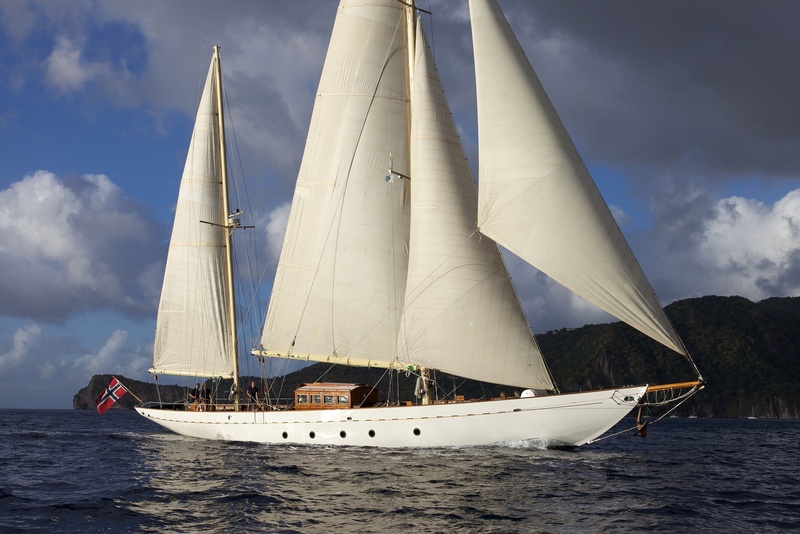 Unusually modern for her time, S/Y SINCERITY has a cut away forefoot and Bermudan masthead rig making her a fast and easily handled yacht. 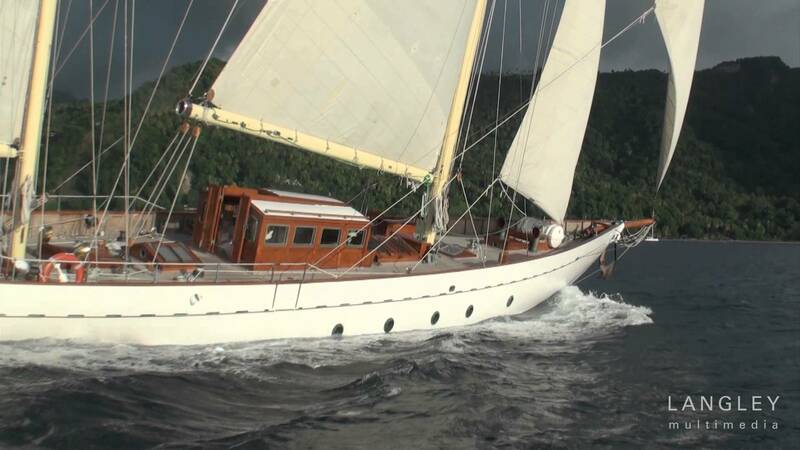 The yacht features high bull-works and plenty of reserve buoyancy in the bow and stern that keeps her long sweeping decks dryer then almost any comparable yacht. 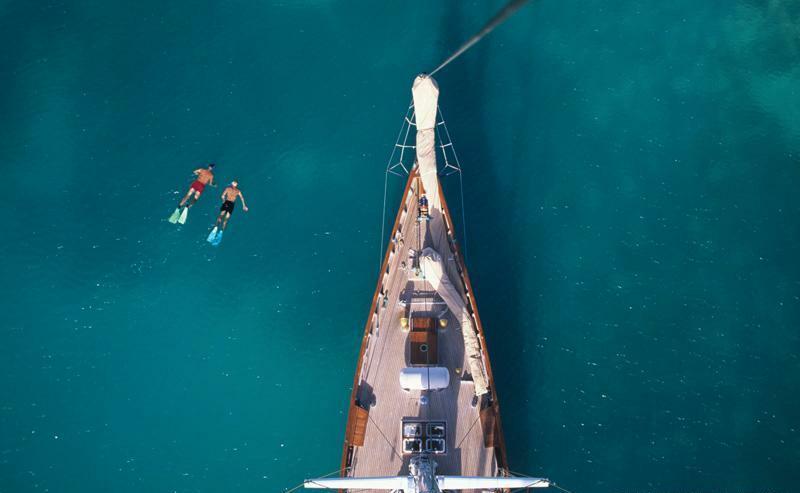 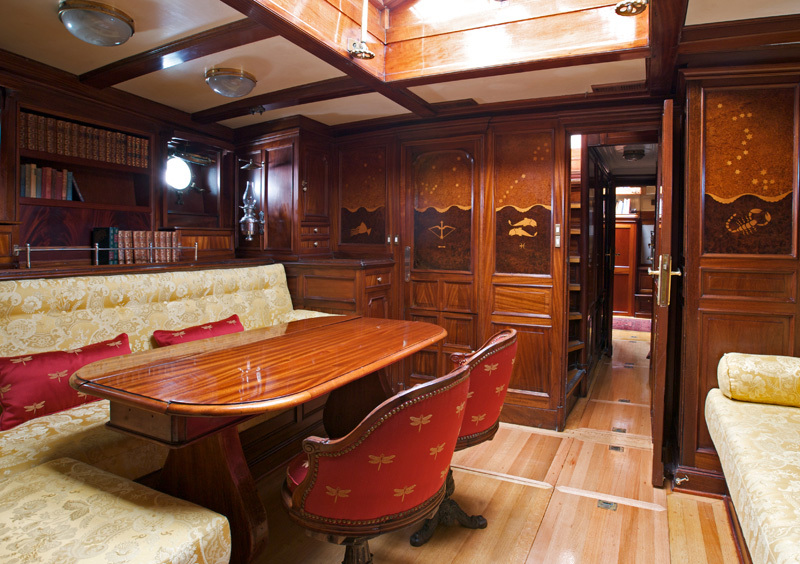 Not only a thrilling yacht to experience sailing, below deck, the yacht SINCERITY offers comfort and charm taking you back to an era of romance and exquisite craftsmanship. 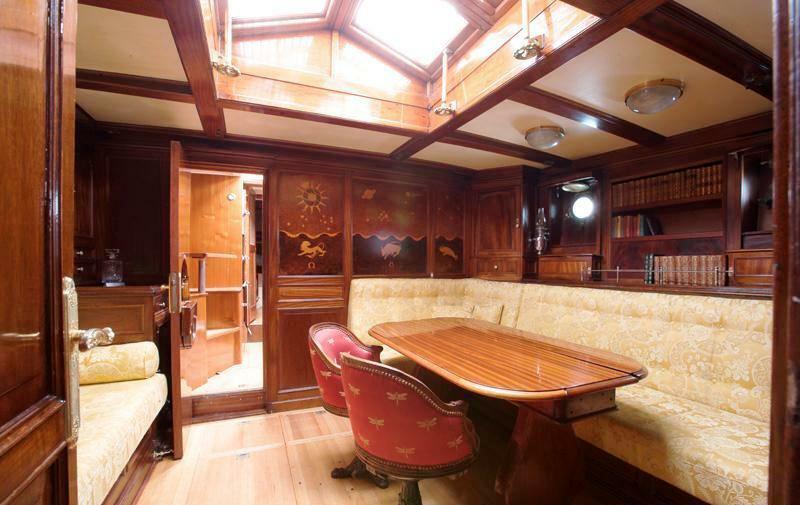 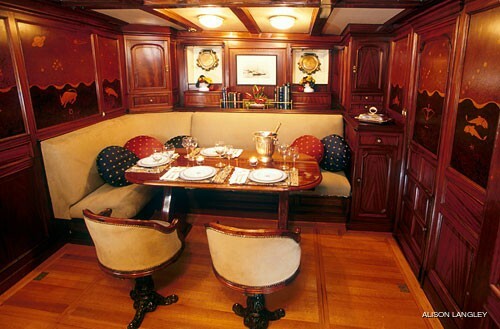 She Boasts rich mahogany paneling inlaid with birds-eye maple, fine furniture, bronze portholes and detailed marquetry and beautiful craftsmanship throughout. 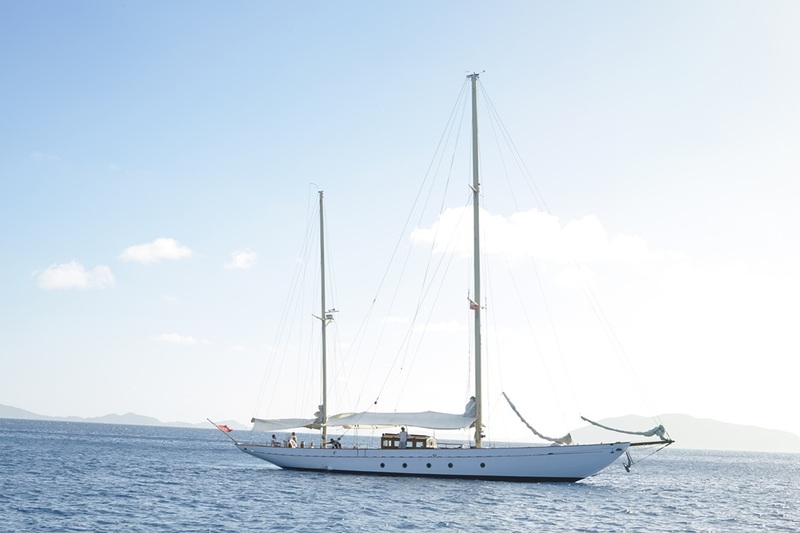 The SINCERITY charter yacht is able to accommodate up to 4 guests in 2 cabins including a large master cabin with double bed and small single and a second cabin with small double and a single bed. 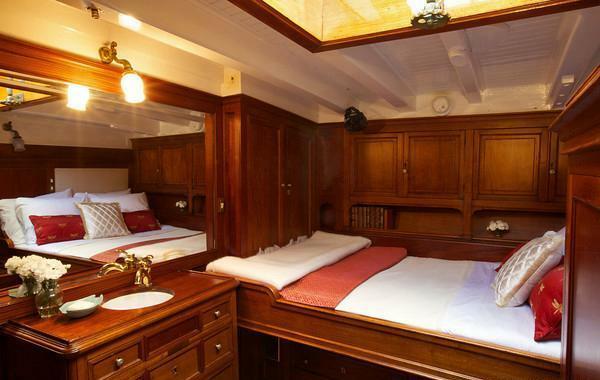 There is a third cabin with one single bed for a possible fifth (child) guest. 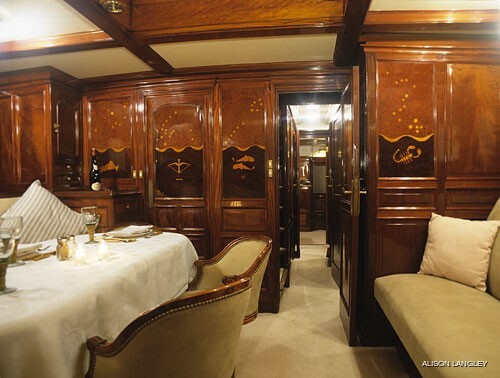 All three cabins share one master bathroom. 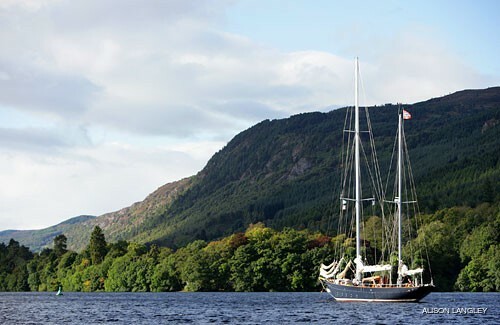 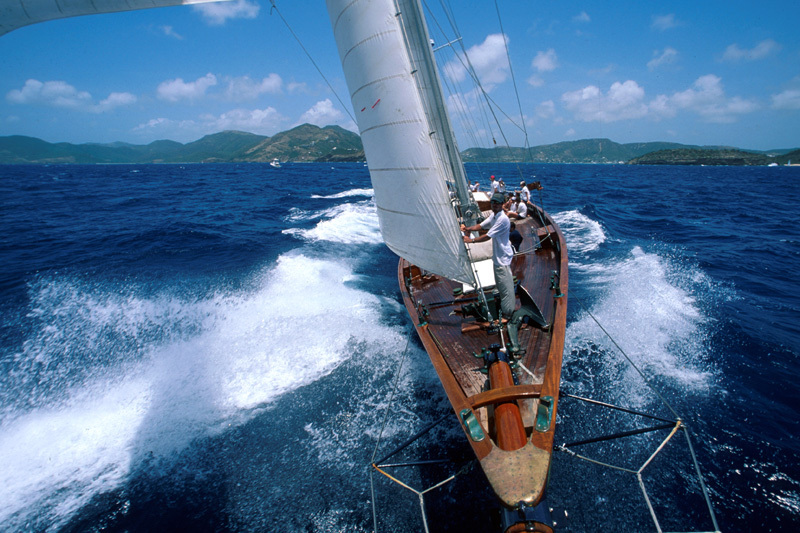 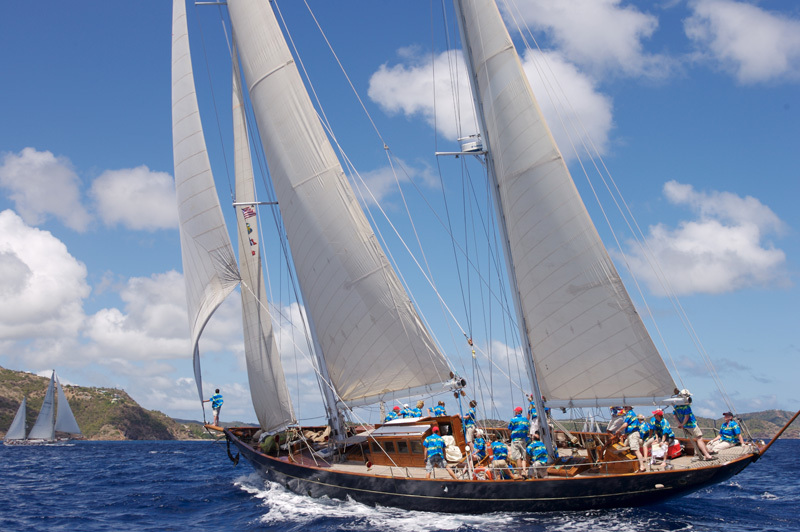 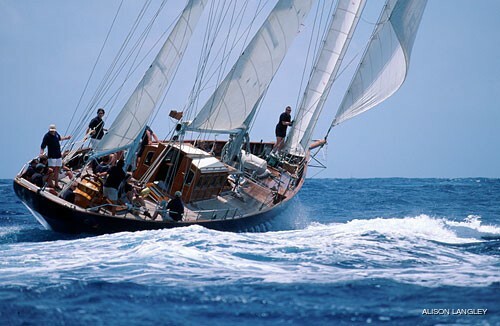 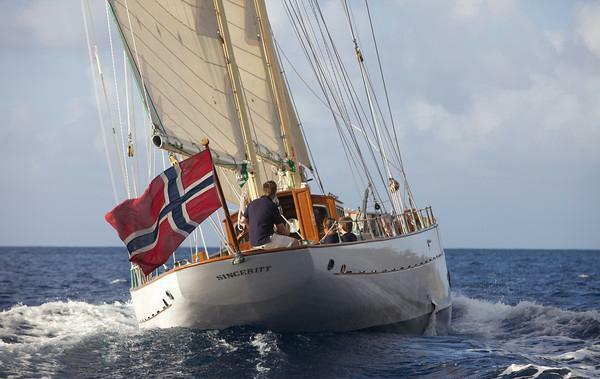 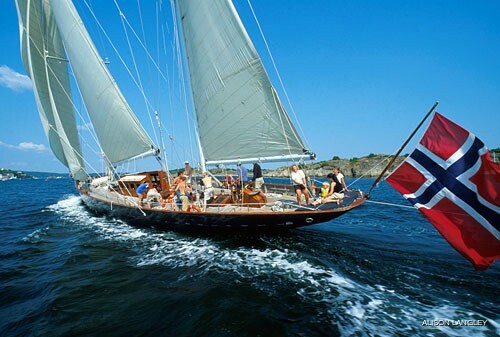 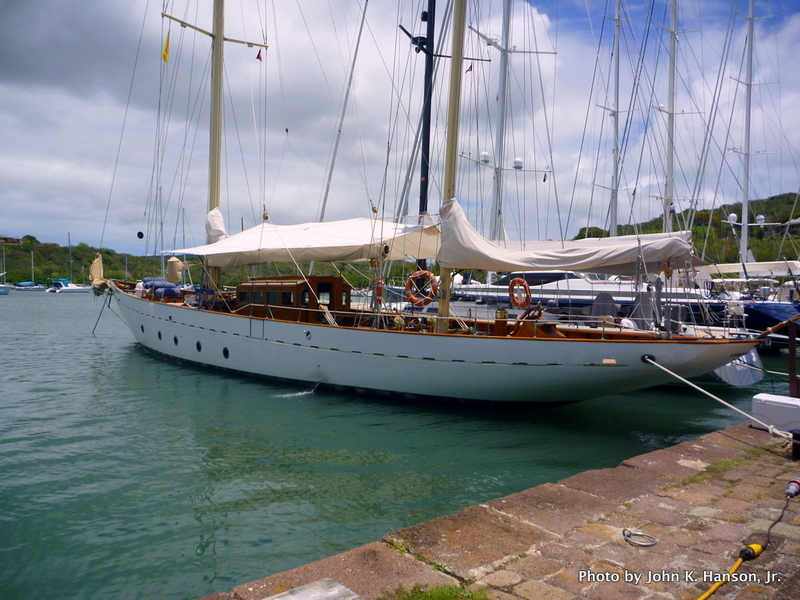 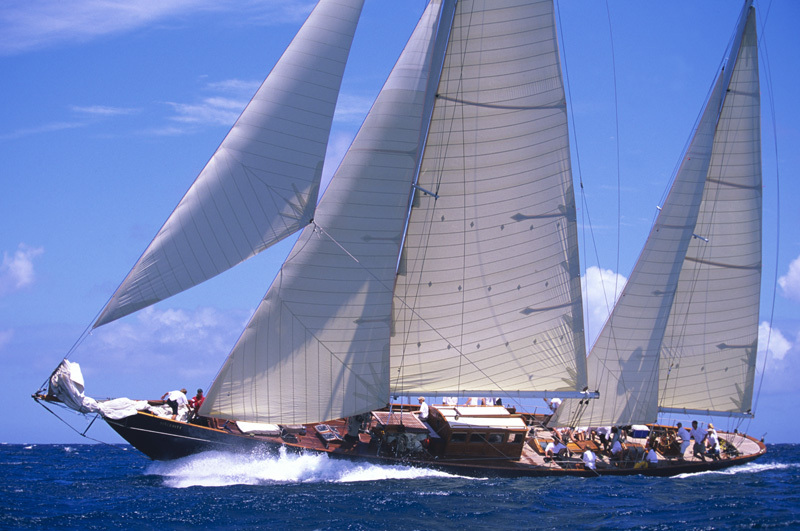 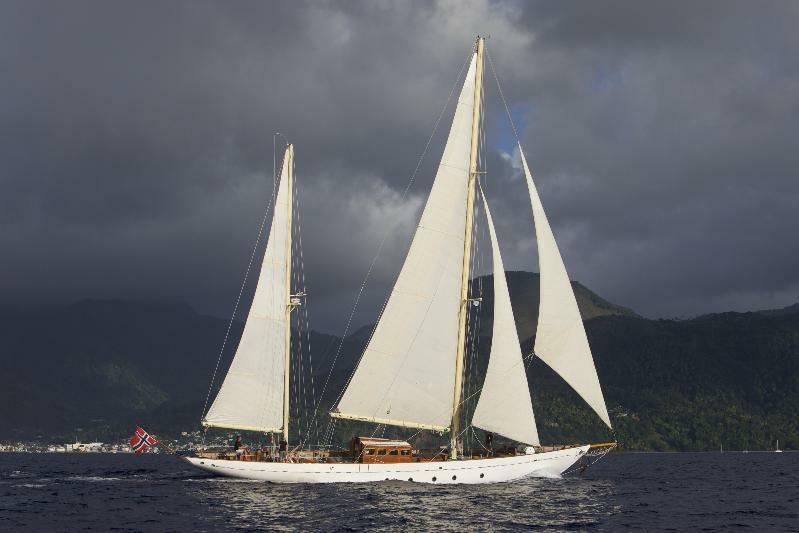 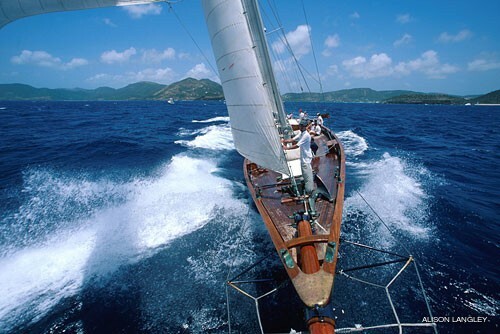 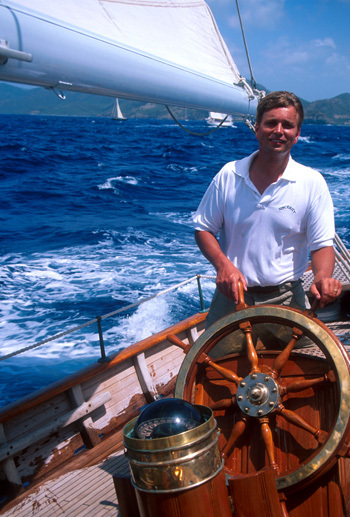 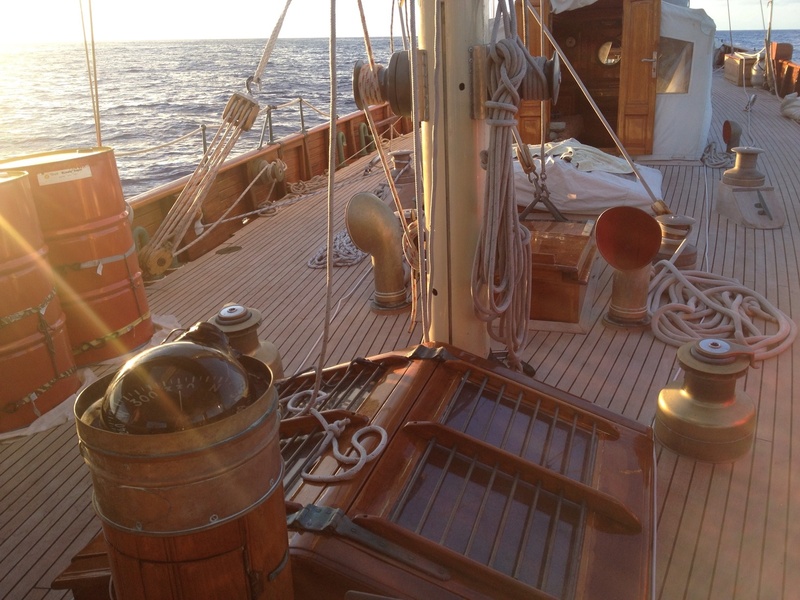 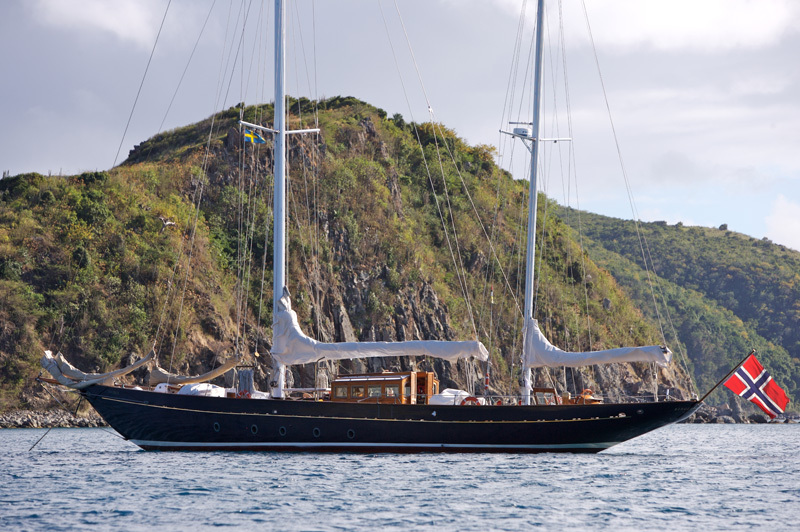 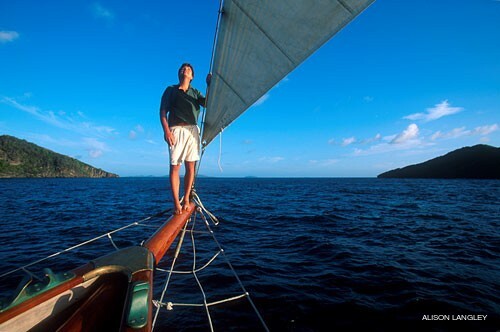 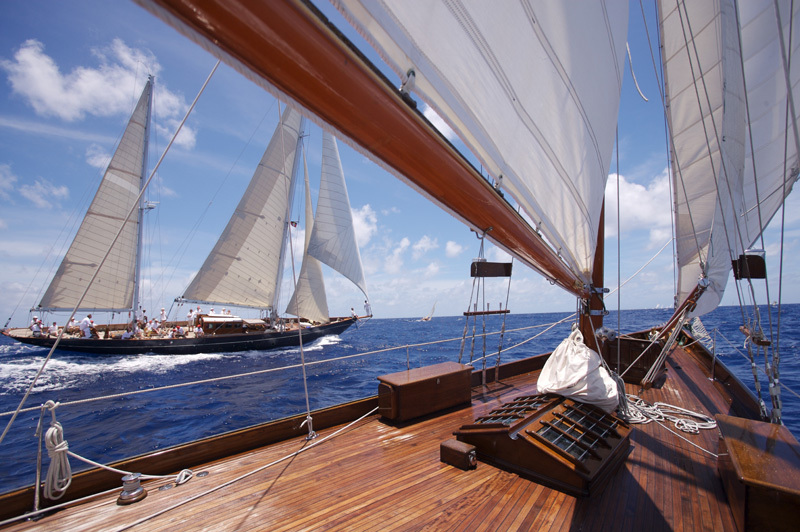 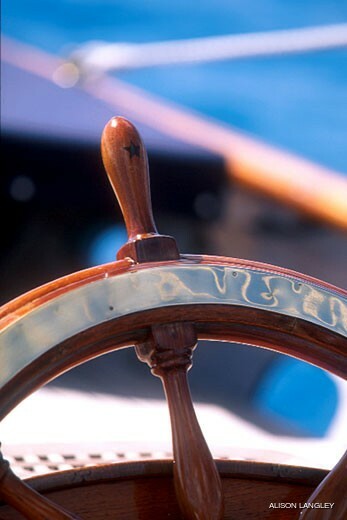 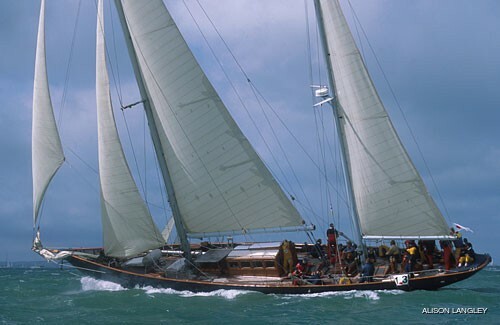 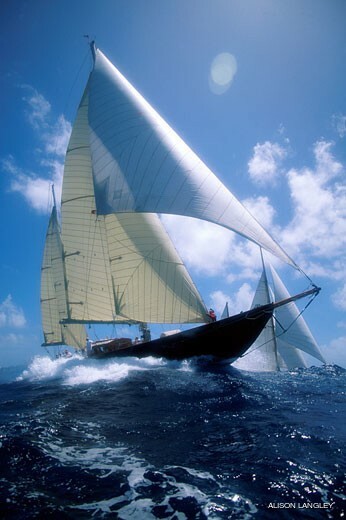 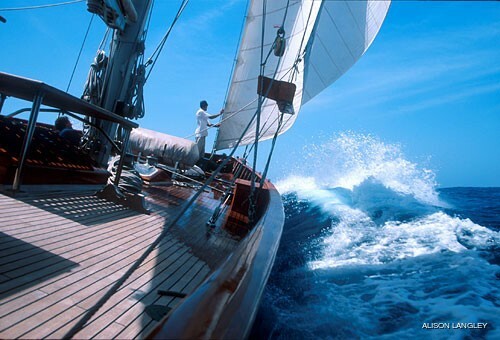 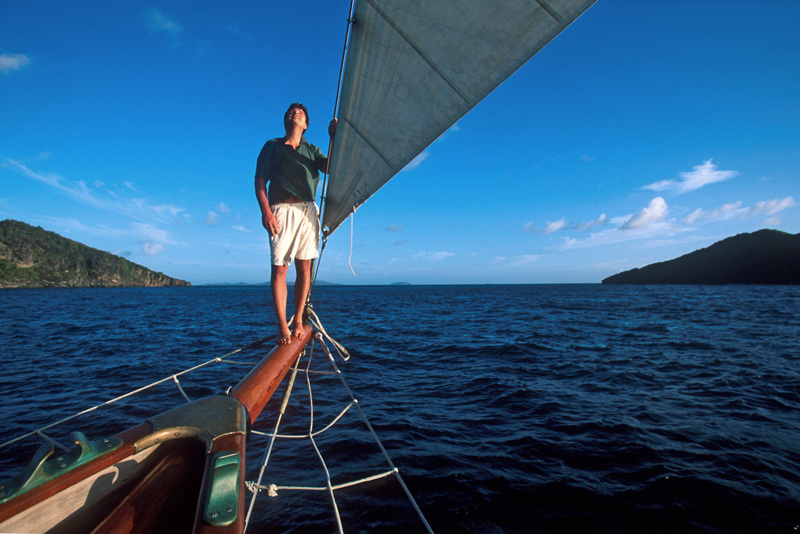 The classic sailing yacht SINCERITY received an extensive refit 2011. 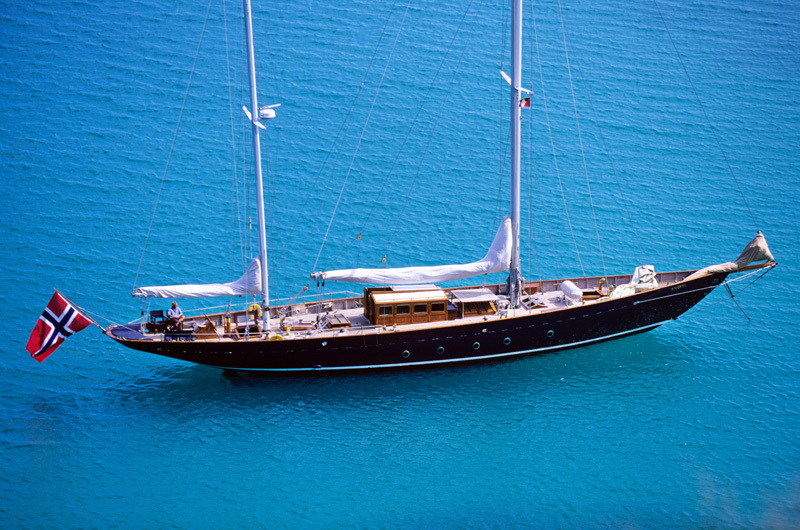 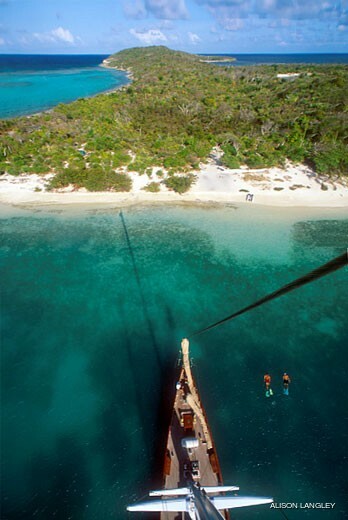 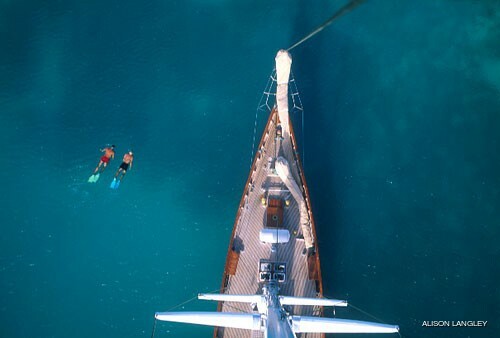 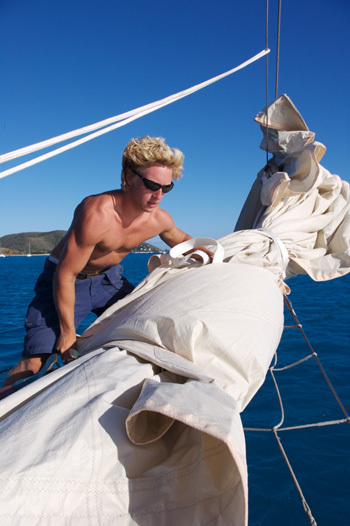 She has a professional crew of 3 and is available for charter in the Caribbean Leeward, Windward and Virgin Islands. 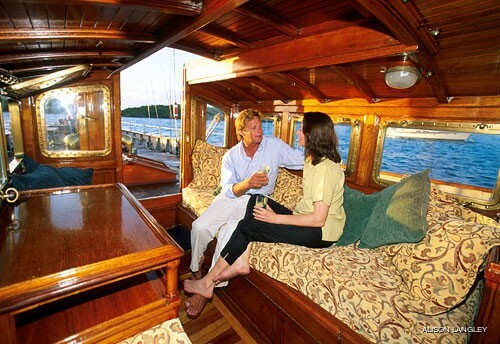 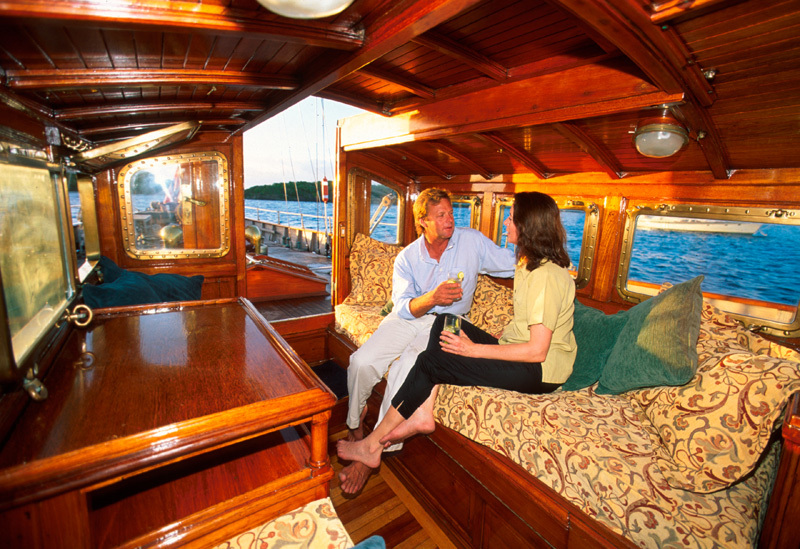 She is also available for charter during the summer months in New England. Accommodation for 4-5 guests onboard the classic Baglietto yacht SINCERITY consists of three cabins including two double staterooms; the owner’s being unusually large and light. 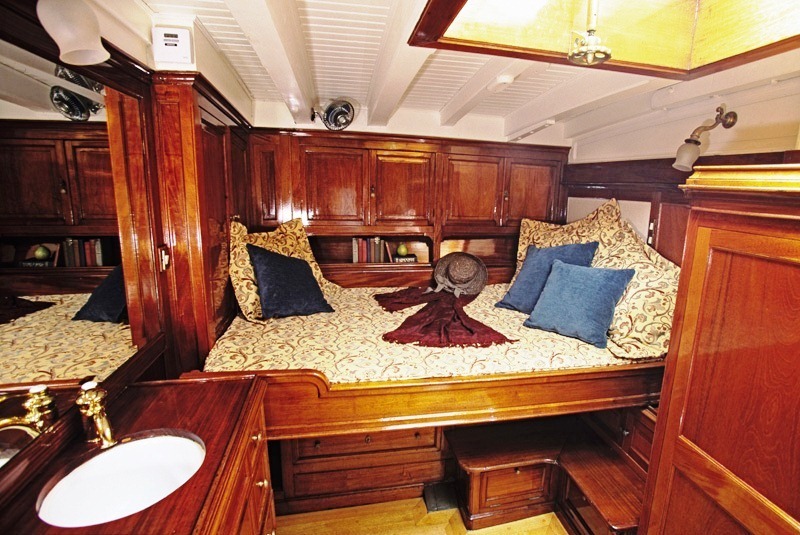 The aft cabin features a double bunk to starboard with a single bunk opposite to port and a personal washbasin recessed in an antique vanity cabinet. 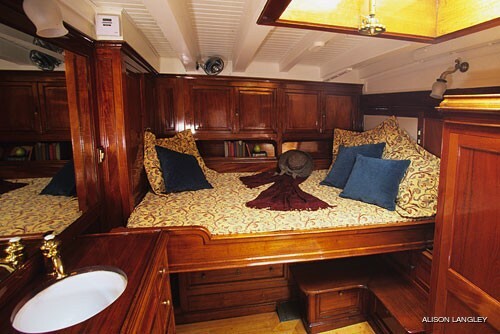 The starboard cabin has an 8 ft. single bed (commonly used as a double) to starboard and a single athwartship, and opposite to port is a cozy, hardwood-paneled single stateroom, which with its ample storage space and location at the bottom of the curved staircase, can easily serve as the captain's cabin. 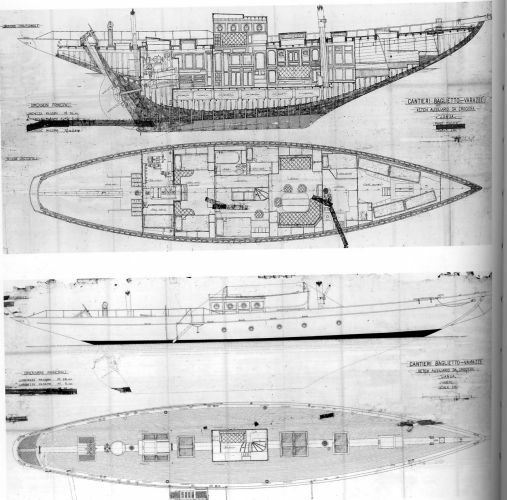 There are 2 large opening portholes and a ventilation hatch into the deckhouse.